Depending on the perspective the sunscreen resembles either a solid roof or a light skin. 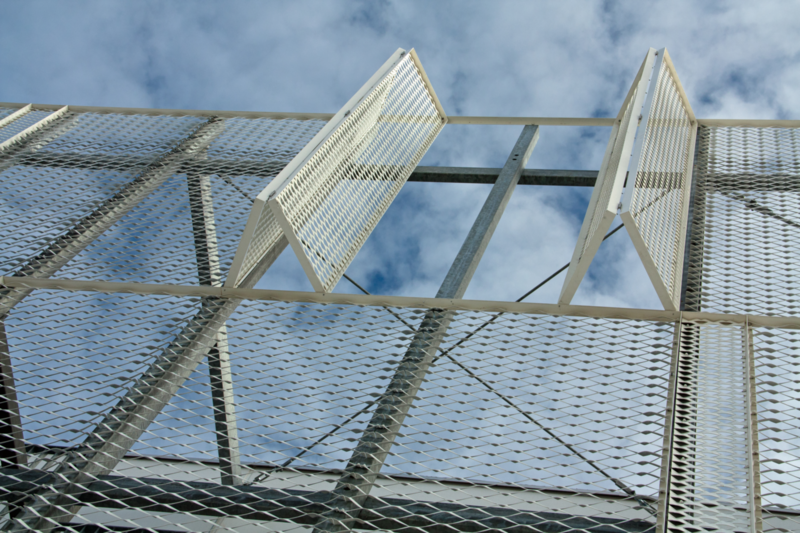 For both facades expanded metal RMIG was used, but in different versions. 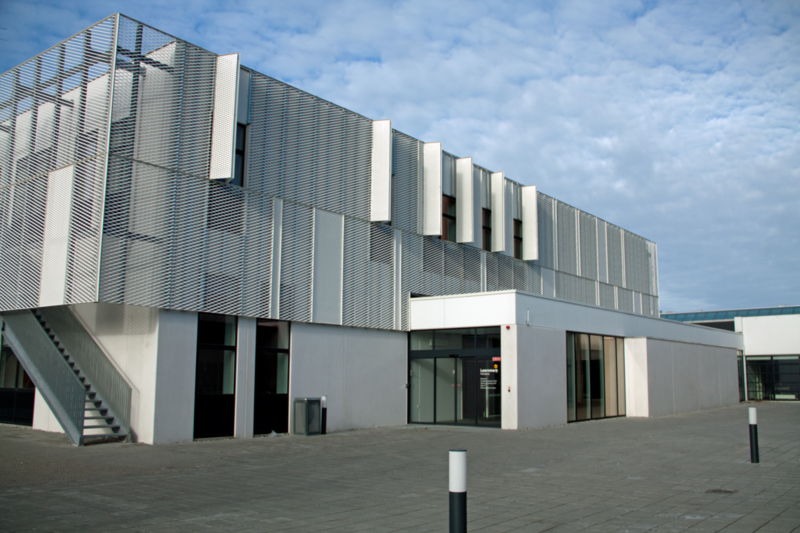 For a sports hall in Ringsted, Christensen & Co. Arkitekter chose oxidized Corten steel, while Kjær & Richter employed white anodised aluminium for the striking cladding of a school building. 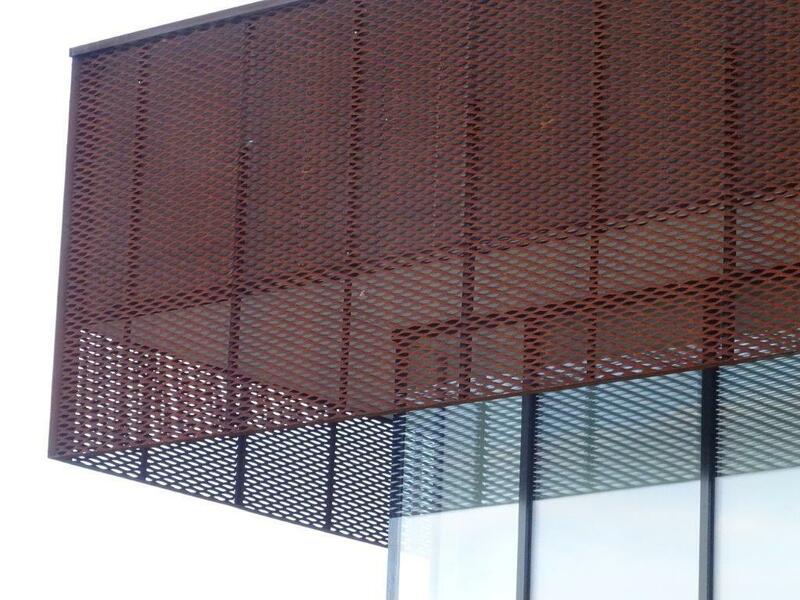 The juxtaposition of contrasting materials was used to create a vivid appearance and fascinating visuaal effects despite the simplicity of the architecture itself. 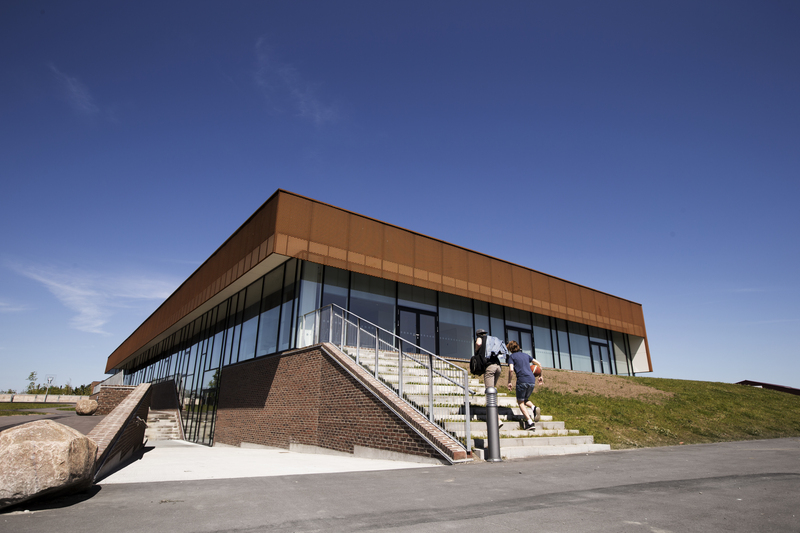 For example, for the sports hall, which stands on a rise surrounded by open areas a red brick base, glass cube, and a wraparound protruding sunscreen of Corten steel was chosen. 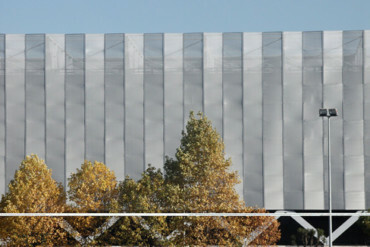 Depending on the perspective and distance a heavy metal roof appears to rest on a glass cube, or a transparent layer seems to enclose the building. 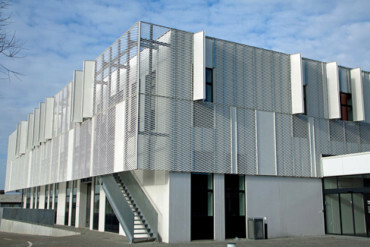 Kjær & Richter used white expanded metal facades to give school buildings in Horsens, Denmark a uniform appearance. 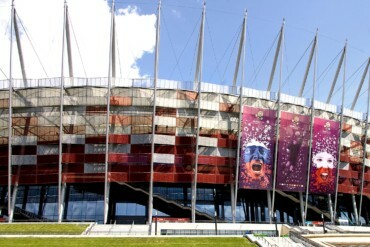 The complex facade consists of a variation of formats, mesh widths and moving elements. 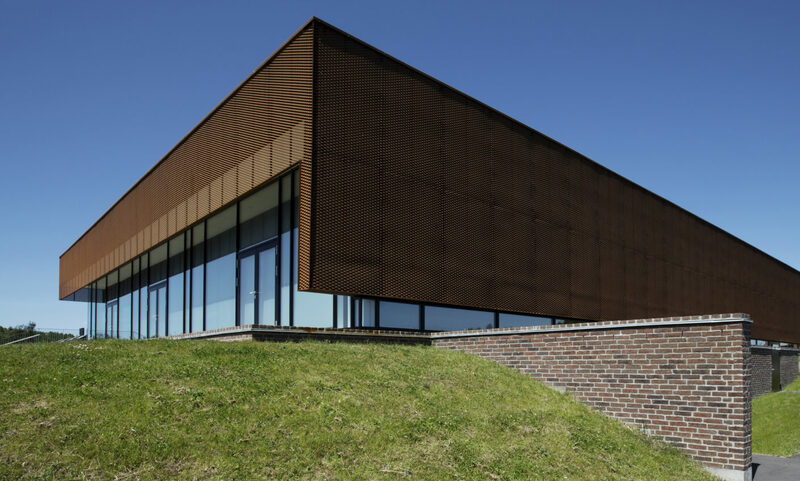 For a sports hall in Ringsted, Denmark Christensen & Co. Arkitekter chose a sunscreen of Corten steel.